Volkspeed has an exciting history dating back to the mid 70’s, originating from a successful motor racing team. 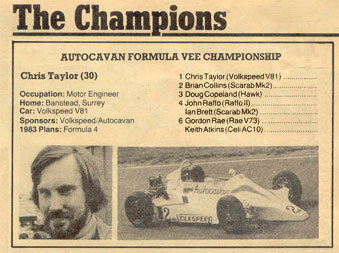 Chris Taylor as driver and Trevor Grist as development engineer created the Volkspeed motor racing team which competed in Formula Vee and ultimately won the British Championship in 1982. After their successful racing career Chris and Trevor decided to put their expertise in cars to good use - by carrying on the Volkspeed trademark to create a car repair centre providing local motorists in Surrey with a professional, affordable and friendly service. Initially starting off as a Volkswagen speciailist, the firm grew rapidly due to its high level of expertise and acquired the freehold on its current site in Ashtead in 1984. Around the turn of the millenium, Chris and Trevor chose to move in slightly different directions and Trevor now operates a car sales business from the Forecourt while Chris runs the MOT and Service/Repair operation from the rear. For commercial reasons these are unconnected businesses. We take care to ensure our customers are well informed as to what we are doing, why this is the best solution and what the cost implications will be. 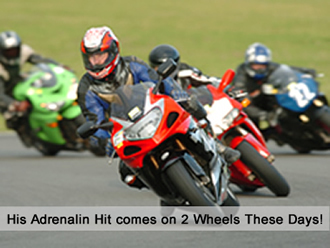 We guarantee “no surprises” and aim to exceed our customers expectations wherever possible.